People were on their feet and clapping to the beat as The Roots of Music finished off the Harvest Jazz and Blues festival in true New Orleans style on Sunday afternoon. People in Fredericton were on their feet and clapping to the beat as The Roots of Music finished off the Harvest Jazz and Blues Festival in true New Orleans style on Sunday afternoon. 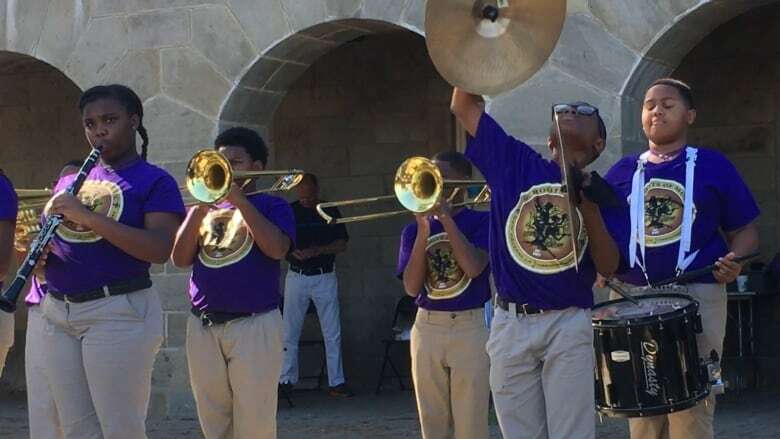 The Roots of Music is a non-profit after-school program based out of New Orleans that teaches music to children in low-income households. The program sent 13 of its 150 students to perform at the festival, including 11-year-old Lawrence Honorejr. "It kept me out of trouble, it's fun and it also helped me get good grades," said Honorejr, who plays the snare drum. Lawrence Rawlins, 12, who plays the French horn, also made the trip to Canada to perform at the festival. He said the program has been an important part of his life. "It taught me how to play music, it kept me out of any trouble and then it let me travel to places like this," said Rawlins. The 13 students played with a lot of energy for the Fredericton crowd on Sunday, and it's not the band's first time performing away from home. 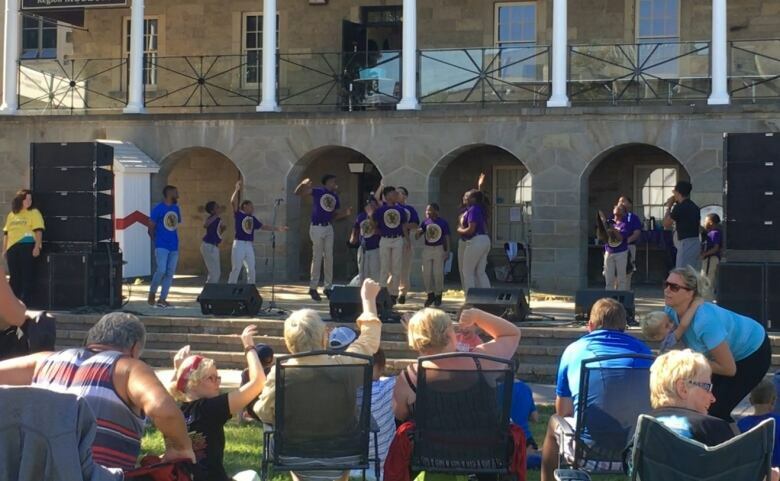 The Roots of Music has sent kids to perform across the U.S., in the Netherlands and Canada. The program not only teaches music, but gives kids food and helps with their school work. Darren Rodgers Jr. is the band director. He said kids from the program have gone to top music schools like Berkeley University and Juilliard. He said the program does more than just get students into top universities. He said music is an important part of life in New Orleans and The Roots of Music gives some of those kids an outlet. "It's powerful, extremely powerful," said Rodgers. "It engages their brains in a different way. It makes them work a little harder than your average nine-year-old." Both Rawlins and Honorejr enjoyed their time in Fredericton, and hope they get to come back. "It was more than OK, it was great," said Rawlins. "And the people are polite. They just welcome you with so much joy." For Honorejr, the Fredericton weather was a big plus. "It's super duper hot in New Orleans, so I liked the weather, and I also liked the culture of it, so I would love to come back," he said. Philip Drost is a reporter with CBC New Brunswick.